Ask & Answer: How long does Cocaine stay in your system? Cocaine is a highly addictive, dangerous illegal drug that is abused all over the world. It is a fine white powder that is produced using the leaves of the Coca plant, which has long been used throughout history for its medicinal properties. Coca’s first recorded use dates back to 3,000 B.C., where it is documented as being used by the ancient Incas living in the Andes mountains. They chewed on the Coca plant leaves and discovered that it provided them with a faster heart rate and an increase in their breathing, which helped them battle the thin mountain air that surrounded them. It wasn’t until much later in 1859 that the drug we know today as cocaine was isolated from the Coca plant by Albert Niemann, a German chemist. He did so after discovering the medicinal properties the plant held, and it grew in popularity during the 1880’s. It was most often made into a tonic that was promoted as providing cures for depression and sexual impotence. Famous Austrian psychoanalyst Sigmund Freud was a regular user of cocaine and spent much of his time promoting it to his family, friends, and followers which helped it gain medical credibility. In 1886, popularity for the drug skyrocketed after Coca leaves were used in the recipe for a famous new soft drink known as Coca-Cola. It was best known for the energizing effects drinkers experienced, and a euphoric feeling that everyone quickly loved. After cocaine became so prevalent in the mainstream market, it was used to concoct elixirs, tonics and even wines that were used by people of all ages and backgrounds to cure everything from lack of sexual drive to menstrual pain. 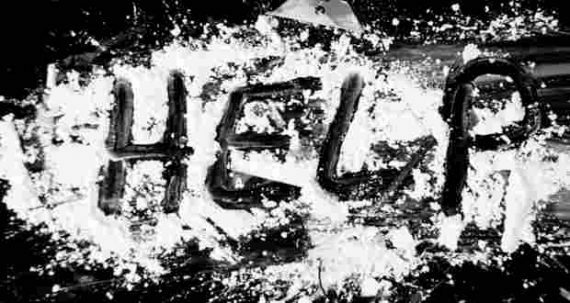 It quickly gained attention in Hollywood and was frequently used by celebrities at the time, and pro-cocaine advertisements were released which encouraged use and influenced millions of people. Over the next few years, the dangers of cocaine slowly emerged and its negative effects were becoming more and more prevalent. Many people began visiting doctors for nasal problems, feeling dizzy or faint, rapid weight loss, and hallucinations. Public pressure eventually forced the makers of Coca-Cola to remove any Coca plant-based ingredients from its recipe, which is why it no longer contains traces of the drug today. Within the next 5 years after snorting of cocaine became popular, 5,000 deaths were reported between 1907-1912 and the drug was officially banned in 1912. However, just because it had been banned did not make it disappear completely, and by the 1970’s it had become known as a fashionable drug that was perfect for those with busy schedules and lavish lifestyles. It gave hardworking men and women the extra energy to work longer hours, and many women used the drug to help them lose weight and be more productive at home. It was rather expensive at the time and was mostly available to those with higher incomes. Some areas of the United States recorded as much as a 1000% increase in frequency of use between 1970-1980. With popularity continuing to grow, Columbia began trafficking massive amounts of cocaine into the U.S., allowing the drug to shift from a “rich man’s drug” to the most dangerous drug in America that was now easily accessible to anyone. Dealers often “cut”, or dilute the cocaine into other white, powdery substances like corn starch, baking soda, flour or talcum powder to decrease purity and increase their profit. It can also be turned into a compressed, freebase version known as “crack cocaine”, which is a rock-like version that can be smoked, rather than snorted or injected, and is much cheaper than traditional cocaine. Cocaine, also referred to on the streets as “snow”, “coke”, or “blow”, is known for its fast high, which usually strikes the user within 30 seconds-3 minutes of use, no matter which method it is administered by. The high typically lasts anywhere form 15 minutes to one hour, depending on the amount used and whether it was ingested, snorted, injected or smoked. Some users prefer to ingest it orally, usually rubbing the fine powder along their gums and lips to be absorbed into the bloodstream through the small blood vessels in the mouth. Others snort the drug after arranging the powder into what are known as “bumps”, “lines”, or “rails”, and using a straw or rolled-up dollar bill to snort it into the nasal passages. Injecting cocaine directly into the bloodstream using a needle is also a common method for more serious addicts. Intravenous use produces the highest level of the drug in the bloodstream in the shortest period of time. This results in a much quicker high, with a faster onset but a much shorter lifespan. If a user prefers crack cocaine, it is usually smoked using a long glass tube with a piece of brillo in one end to serve as a filter and place to set the rock of crack cocaine on. It is then lit with a lighter and inhaled, and often makes a cracking sound as it burns, hence the name “crack” cocaine. The immediate effects of cocaine use include both mental and physical changes in the user. They may experience physical changes such as an increase in their heart rate and energy level, a higher than average blood pressure and/or body temperature, dilated pupils, loss of appetite and increased sensitivity to senses like sounds, touch and sight. Mentally, the user will experience a feeling of euphoria, which with prolonged use with turn into irritability, anxiety, paranoia and a feeling of being out of touch with reality. Today, cocaine still has some medically accepted medicinal properties, and is often used as a topical numbing agent by Ear, Nose and Throat doctors during surgeries involving the sinuses and nasal passages. This is because of cocaine’s natural numbing and pain-relieving properties, as well as it’s ability to constrict blood vessels and reduce bleeding in areas such as the nose and mouth that tend to bleed excessively during operations. Prolonged use of cocaine can be detrimental to the user’s health over time. Long-term effects include permanent damage to the user’s liver, lungs and heart, psychosis, tooth decay, and a reduction in brain gray matter that causes permanent cognitive thinking problems like memory loss or speech problems. Columbia is currently the largest producer of cocaine in the world, producing an average of 75% of the world’s supply. The United States is the largest consumer in the world currently and uses a whopping 50% of the cocaine produced in the world in any given year. Recent results collected by the National Survey on Drug Use and Health revealed that nearly 4.7 million Americans over the age of 12 admitted to using cocaine within the past year, and nearly 38 million Americans reported using cocaine at least once in their lifetime. In 2016, nearly 7,000 deaths were reported in the United States as a result from a cocaine overdose. While all cocaine users experience the common side effects of cocaine, it is sometimes difficult for them to determine when the symptoms are normal and when they are on the verge of an overdose. The risk of an overdose is difficult to predict, because many variable factors are involved such as the user’s personal tolerance, any possible reactions with other drugs or prescription medications that have been taken, the purity of the cocaine used, or the general health of the user. For example, cocaine is always attributed with symptoms like a faster heart rate and increased breathing, but during an overdose, those symptoms quickly escalate into chest pain and difficulty breathing. When an overdose occurs, the user may quickly feel nauseous and begin to vomit and be confused about what is happening or where they are. They will usually sweat profusely and sometimes experience a panic attack or hallucinations. The brain is very sensitive to the chemical changes cocaine causes, and neurological problems can begin resulting in seizures, tremors or involuntary convulsions like jaw grinding. Respiratory problems will also continue to worsen and can result in major damage like a collapsed lung or asthma attack, even in users that have never had asthma before. The increased blood pressure can also cause the blood vessels within the brain to burst, causing strokes or aneurysms, both of which can be fatal. Heart attacks are also a common occurrence, and death is a common outcome of cocaine overdose because the symptoms begin so quickly and escalate at an alarming rate. It is often difficult for emergency personnel to arrive in time to help someone experiencing an overdose before any permanent damage is done. Cocaine is a drug that is most often included on many drug tests for job interviews, court appearances, doctor visits or insurance purposes. It can be detected by a drug test using a urine sample, hair sample, saliva sample, blood sample or sweat sample. The drug itself has a half-life of only one hour. This means that one hour after the drug is taken, half of the amount in the body is broken down and flushed out of the system. After another hour, half of the remaining amount is expelled, and so on until the entire amount is metabolized and exits the body via urine or sweat. While this happens fairly quickly for cocaine compared to other drugs, as the cocaine metabolizes in the body, it leaves behind chemical agents that can be detected with a urine drug test for 2-4 days after use, even though typically all cocaine is out of the user’s system within 19 hours. Chronically heavy users or those that have recently binged are more likely to see traces of cocaine in their systems for up to 12 days via urine test, and even up to 3 weeks in the most extreme cases. If a blood sample or saliva sample test is used, cocaine is typically only detectable for 12-48 hours after use. It can also be discovered in sweat for 3-5 weeks, and in a hair follicle test for anywhere from 90 days up to a year. What Factors Impact How Long Cocaine Stays in Your System? The length of time cocaine can remain detectable in the human body depends on a few factors that vary from user to user. The person’s individual body chemistry, how often and how much cocaine they use, how well their liver functions and their preferred method of use are all factors that contribute to how long cocaine is detectable in their system. For example, a heavy user that injects cocaine on a daily basis will have detectable levels of the drug in their system for much longer than a young college student that did it one weekend at a party. Cocaine is metabolized by the liver and flushed through the kidneys, so users that have problems with these organs will break down the drug slower than those with fully functioning livers or kidneys. The size of the dose taken is also a factor, because a larger dose taken means a larger dose to process, which takes longer. Combining cocaine with alcohol creates a chemical called Cocaethylene in the liver, which causes the heart to beat much faster and can result in sudden death. However, Cocaethylene is also detectable on standard drug tests and lasts much longer than cocaine itself, so mixing the drug with alcohol will also affect how long it stays in the system.